The Mier Expedition, A March into Hell. The political pressure on Houston to take action continued to mount when Santa Anna again ordered the occupation of San Antonio by General Adrian Woll. The French mercenary�s twelve hundred soldiers not only occupied and plundered the old mission town, but also fought a battle at Salado Creek with the local militia and Texas Rangers under the command of �Old Paint� Caldwell. Although heavily outnumbered, the Texans gave an excellent account of themselves when the Mexicans assaulted their positions dug in along the creek, killing and wounding nearly three hundred of the enemy while suffering only one casualty. However, it was an incident that occurred during the fighting at Salado Creek that did much to force President Houston�s hand. In response to Caldwell�s call for volunteers, Captain Nicholas Dawson and 53 men from La Grange and Fayette County attempted to fight their way to the Salado through numerous Mexican cavalry patrols. Eventually, the Texans were cut off and surrounded only a few miles from the creek where they dismounted and took cover in a mesquite thicket near the present site of Fort Sam Houston. The Texans repulsed an initial cavalry charge, but the Mexicans stood off and used their artillery to batter the volunteers into submission. Ignoring any attempts to surrender, the Mexicans moved in and finished off the wounded, taking few prisoners. 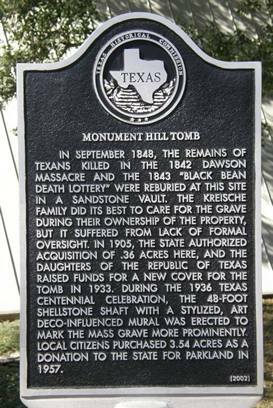 In what was to be known as the �Dawson Massacre,� thirty-six Texans were killed, fifteen were taken prisoner, and two escaped to reach Caldwell. The prisoners were marched away to Mexico City and then to Perote prison in Vera Cruz. 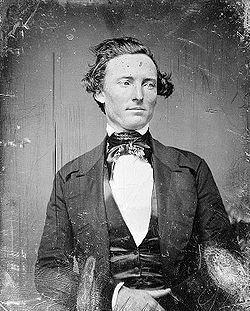 Finally, on October 3, 1842, President Houston, bowing to the inevitable, ordered General Alexander Somervell of Matagorda County to take command of the militia and Texas Rangers he had called to muster in San Antonio. However, Houston wisely hedged on an all out invasion of Mexico when he gave General Somervell orders to make a demonstration in force along the border, and "only cross the Rio Grande if he thought it could be done successfully." 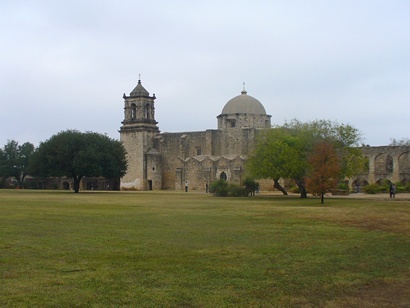 On the 7th of November, 750 volunteers assembled at Mission San Jose. 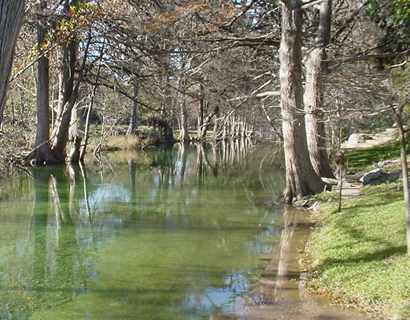 The first task facing General Somervell was to move his small army to a camp on the south bank of the Medina River and organize the men into regiments and companies of infantry. Unlike the force Caldwell had commanded at Salado Creek, made up of local militia and a few Texas Rangers fighting to protect their families and homes, many of Somervell�s undisciplined adventurers had been lured from afar with rumors of loot and promises of glory. The Texas Rangers commanded by Jack Hays were clearly an exception. They would prove to be an invaluable asset to the General during the trying times that lay ahead. On November 25, the Rangers led the way south from the camp on the Medina, their homemade flag proudly bearing the motto �We give but ask no quarter� hanging limp in the pouring rain. The expedition was short on powder, lead, beef, bread, and most other supplies, and even lacked the wagons necessary to carry what little they did have. The lack of wagons, however, was in all likelihood a blessing because rain had been falling for several days and the land that stretched between the Medina and the Frio River was a virtual bog. Three weary days later, after slogging through miles of mud and standing water, the column reached the Laredo Road and eventually forded the wide but shallow Frio River on December 1. The raging flood waters of the Nueces came next. When the Rangers rode ahead to scout Laredo , they were forced to undress and hold bundled clothes and weapons high over their heads while their horses swam against the strong current. Without the aid of a horse, swimming the river was next to impossible, so Somervell ordered the construction of a crude bridge. The river was quickly spanned and the volunteers were waiting on the south bank of the Nueces when the Rangers returned from their scout three days later. 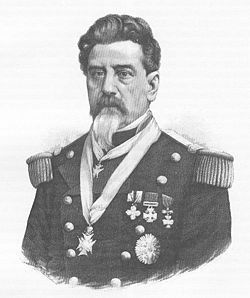 General Somervell was surprised when Hays reported Laredo undefended, and he immediately ordered a forced march to the Rio Grande. By daybreak on December 8, the Texans were encamped in a semicircle around Laredo. Unfortunately, hours earlier, the alcalde had ordered more than a thousand horses driven across the river out of the Texans' reach, and Somervell's hope of mounting his entire force was lost. The Texans received a silent greeting from the citizens of Laredo when they entered town later that morning. Jack Hays personally hoisted the Texas flag to the top of the church steeple. After demanding supplies from the alcalde, Somervell pulled his men out of town and relocated them three miles south on a hill near the Rio Grande. The remainder of the day passed without incident, but well before sunrise the following morning, more than two hundred men slipped out of camp and headed for town. Ignoring General Somervell�s direct orders to the contrary, the rowdy volunteers looted Laredo, taking what they pleased from the terrified citizens, including an occasional unwilling daughter or wife. 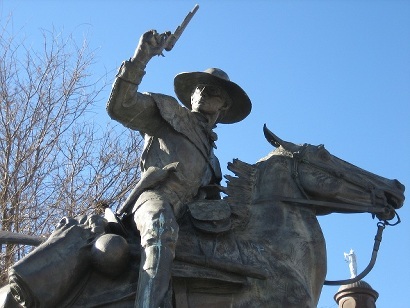 With the assistance of the Texas Rangers, Somervell was eventually able to clear the town of the undisciplined rabble and return most of the booty. However, much to the alcalde�s annoyance, the General kept all the stolen coffee, flour, sugar, and soap. When the Texans pulled out of Laredo the following day, Somervell decided to march down the east bank of the Rio Grande to avoid the prying eyes of the Mexican cavalry. The decision proved to be costly. Time and again mesquite thickets and thorny chaparral forced the column to circle well away from the river, and often there was no choice except to chop a path through the prickly undergrowth. After six miserable days the volunteers were exhausted, hungry, and practically out of supplies. That evening nearly 200 men voted to return to San Antonio. The following morning, the remaining Texans crossed the Rio Grande and advanced to Guerrero, some sixty miles below Laredo. There Somervell gave the alcalde a choice; either hand over 100 hundred horses and five days� provisions or the town would be sacked. The Texans retreated back across the river to await the delivery of the horses and supplies, but when the alcalde failed to meet his demands in the morning, Somervell realized little could be gained by sacking Guerrero. Whether they liked it or not, his men were relatively safe on the Texas side of the Rio Grande and he intended to keep them there. On the morning of December 19, General Somervell made a reluctant decision to abandon the entire mission. The expedition would march north to Gonzales where it would be disbanded. As Somervell had expected, many of the men were furious with his decision. William S. Fisher, one of the expedition�s captains, asked for permission to continue the march down the river with those men who were unwilling to disband, but Somervell denied the request, warning of the dangers in such a move. Ignoring the General�s warning, 305 volunteers promptly resigned from his command and elected Fisher to lead them in a private invasion of Mexico; in actuality more of a quest for revenge and plunder than a military action. Jack Hays and most of the Texas Rangers were among the 189 men who departed for Gonzales in the early afternoon, but Rangers Sam Walker and Bigfoot Wallace made the decision to stay behind and join Fisher�s command. After consulting with his officers, Fisher dispatched the Texas Rangers who had remained with him down the Mexican side of the Rio Grande with the dual mission of screening his force from the Mexican cavalry and scouting the area around the town of Mier for any sign of the enemy. The newly elected Colonel then marched the majority of his small army south along the Texas side of the Rio Grande, ferrying the remainder of the men down the river on boats captured by the Rangers during the crossing to Guerrero. On December 22, the Texans marched into the Mexican town of Mier unopposed. Colonel Fisher met with the alcalde in the main Plaza, loudly demanding enough horses to mount his entire force and sufficient provisions to feed the men for a week. As General Somervell had before him, he threatened the town with destruction if the horses and supplies were not delivered to the Texas side of the Rio Grande by morning. However, unlike Somervell, Fisher meant to keep his promise. Sensing the sincerity in the bitter tone of Fisher�s words, the alcalde agreed to meet his demands, and the Texans returned to their camp across the river. The Texans were no sooner across the Rio Grande than Mexican General Pedro Ampudia arrived in Mier with 3000 troops and refused to allow the alcalde to deliver the promised supplies. Fisher was furious. 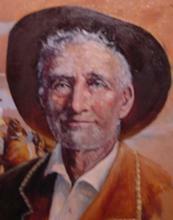 Ignoring odds of ten to one against him, he marched the Texans back to Mier on December 24, and launched an immediate attack. The struggle was close and bloody, but the outnumbered Texans fought their way to the main plaza before nightfall. The following day General Ampudia ordered three separate suicidal charges across the plaza directly into the muzzles of the Texans� rifles. In spite of being so heavily outnumbered, Fisher�s small army held firm until shortages of water, food, powder, and lead finally forced them to surrender the following morning. Only thirty-one Texans were killed or wounded during the intense fighting while the Mexicans suffered 200 wounded and nearly 600 killed. In an act of revenge for their terrible losses, the Mexican soldiers stripped the bodies of the dead Texans and drug them through the streets of Mier. The survivors were marched in chains to Matamoros and then on to Salado. On February 11, 1843, led by Sam Walker and Bigfoot Wallace, the prisoners managed a mass escape by disarming their guards and overpowering the soldiers guarding the arms and ammunition. Unfortunately, most of the Texans were soon lost, wandering for six days in the mountainous desert north of Salado until they were nearly dead from thirst and hunger. One hundred and seventy-six prisoners were recaptured and marched to Saltillo where Mexican President Santa Anna sentenced them to death en masse. The harsh sentence was later commuted to death for one man in ten at the urging of the American and British ambassadors. In what was to later become known as the infamous �Black Bean Episode,� the prisoners were forced to draw beans from a jar. 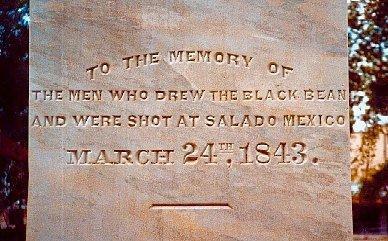 The seventeen men who drew black beans were stood against a wall and executed by firing squad. The remaining prisoners were marched to Mexico City where they spent the summer laboring on a road gang. 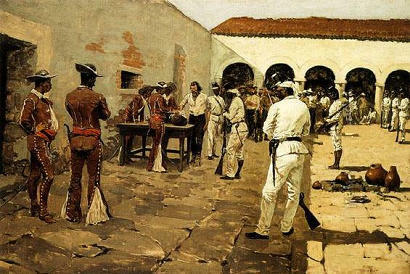 In September 1843, most of the Texans were transferred to the infamous Perote Prison in Vera Cruz, although some found their way into other Mexican prisons. Over the course of the next year, a few escaped, including Sam Walker who made his way to Tampico and managed to board a ship for New Orleans. Many others died of wounds, disease, and starvation. The 48-foot 1936 Centennial Monument marks the mass grave of the remains of the 1842 "Dawson Massacre" and the 1843 "Black Bean Death Lottery"
Due to the unceasing efforts of the British and American ambassadors, survivors of the long ordeal were finally released on September 14, 1844. The remains of the men executed in the "Black Bean Episode" were returned to Texas in 1848, and buried in La Grange alongside the men killed in the "Dawson Massacre." 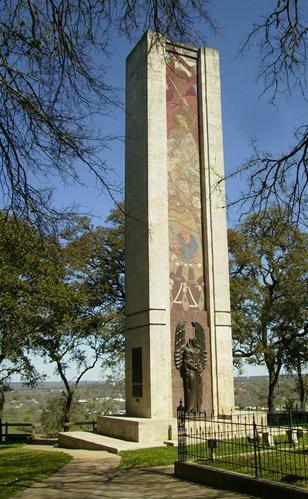 A monument in their honor now stands at the Monument Hill State Historical Site in La Grange, Texas. Events leading up to the Mier Expedition, See "A Glimpse of Texas Past"